FREDERICTON -- A new report has found serious problems at New Brunswick's main mental health facility, with patients suffering negligence, abuse and unacceptable treatment. Charles Murray, the province's ombud, says the Restigouche Hospital Centre in Campbellton is chronically understaffed and failing to provide adequate care. "The number of incidents and the disturbing details thereof demonstrate that the Restigouche Hospital Centre is in crisis," Murray said Thursday. Murray said his office began investigating the centre after a 2017 complaint, but began their "deep dive" into the files in May 2018 after receiving more complaints from inside the facility. "The Restigouche Hospital Centre is not only failing in its ambition to be a centre of excellence, it is not even meeting the minimum standards of care for a mental institution," he said. He said in October 2018, the facility only achieved normal staffing levels three per cent of the time. He said they were at a minimal level 36 per cent of the time, while 33 per cent of the time, staffing levels were considered so low they were deemed "danger or grave danger." Immediate action is needed, Murray said: "The problems ... are too acute to risk further delay." He said the centre's mission should be reduced and a number of units closed. He said the facility's ability to provide forensic psychiatry -- court-ordered assessments of fitness to stand trial and criminal responsibility -- should be reassessed. Gilles Lanteigne, president and CEO of Vitalite Heath Network, which is responsible for the centre, said Thursday many changes have already been made to address the issues. He said 40 beds have been closed, 64 patients have been reintegrated back into the community and more nurses have received specialized training. However, he described issues at the centre as being more a result of culture than staffing. He said in December 2016 they undertook a radical transformation from an "asylum" culture to a modern tertiary-care setting, and the transformation is taking time. "Patients are safe," he said, adding that minimum staffing levels are being met consistently now. 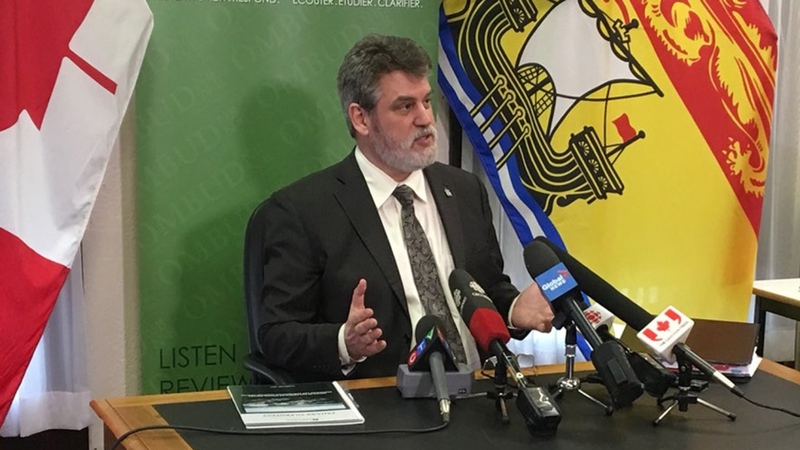 But Ted Flemming, the province's health minister, said Murray's report shows an urgent need for improvement, and a formal response to the report will be issued within 90 days. "The treatment of patients detailed in these incident reports is unacceptable and will not be tolerated in a health-care facility in New Brunswick," he said. Flemming said he has hired George Weber, former president and CEO of Royal Ottawa Health Care Group, to review the ombud's report and report back to the Health Department. Flemming said the province is facing a serious staffing problem when it comes to health care. "We are running out of people to work in these institutions. We have labs without lab technicians. We are short 450-some nurses in New Brunswick. We are short physicians in some areas," he said. Kris Austin, leader of the People's Alliance party, said clearly it was put in the wrong location. "The main psychiatric facility for the province should have been in a central, urban area of the province where psychiatric health care professionals would more likely be willing to work and live," Austin said. Murray said the proposed youth mental health facility adjacent to the Restigouche centre is poorly advised and would likely suffer the same problems if opened. Construction on the youth facility began last summer, and is nearing completion. But on Thursday, Flemming said its opening is on hold. "Right now there are no plans to open anything," he said. Charles Murray, New Brunswick's ombud, says the Restigouche Hospital Centre in Campbellton is chronically understaffed and failing to provide adequate care.